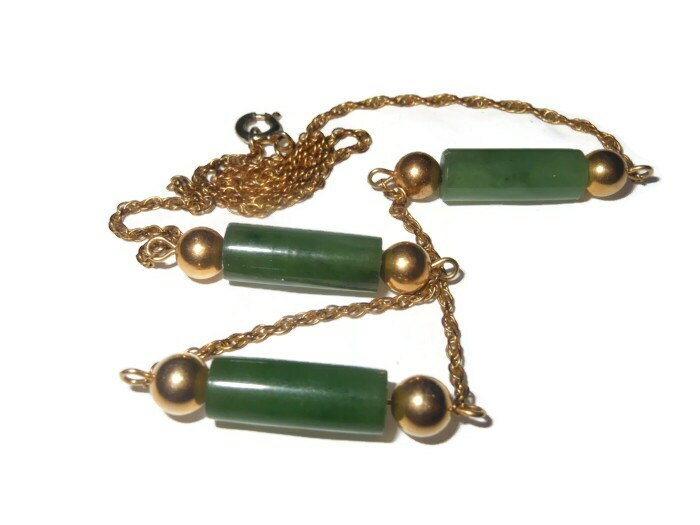 Gold filled Jade choker tube and gold balls chain necklace. Written very small on the clasp it says 1/20 K gold filled. 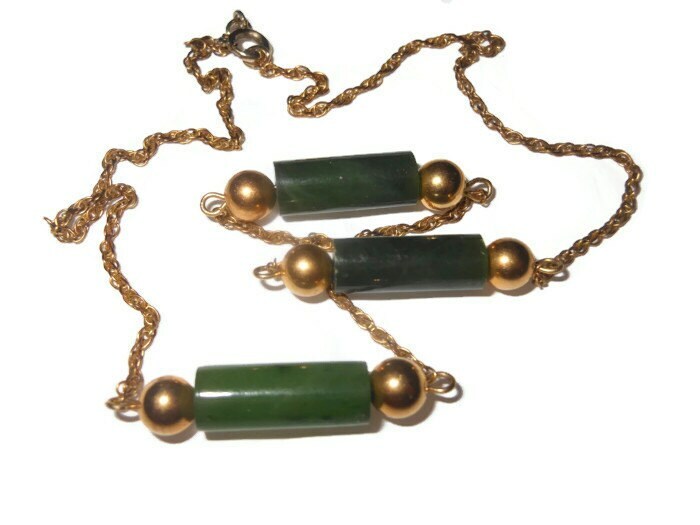 I have two of these identical except for the jade. When ordering please tell me which one you want. Look at 2nd and 3rd photos to see. 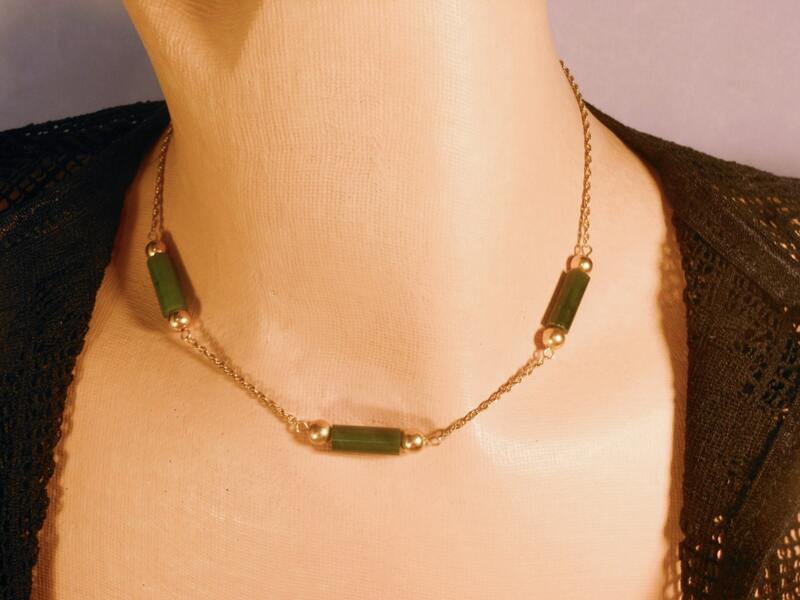 This would look great layered with the Sarah Coventry necklace shown in the last photo - http://etsy.me/17DGv7y. 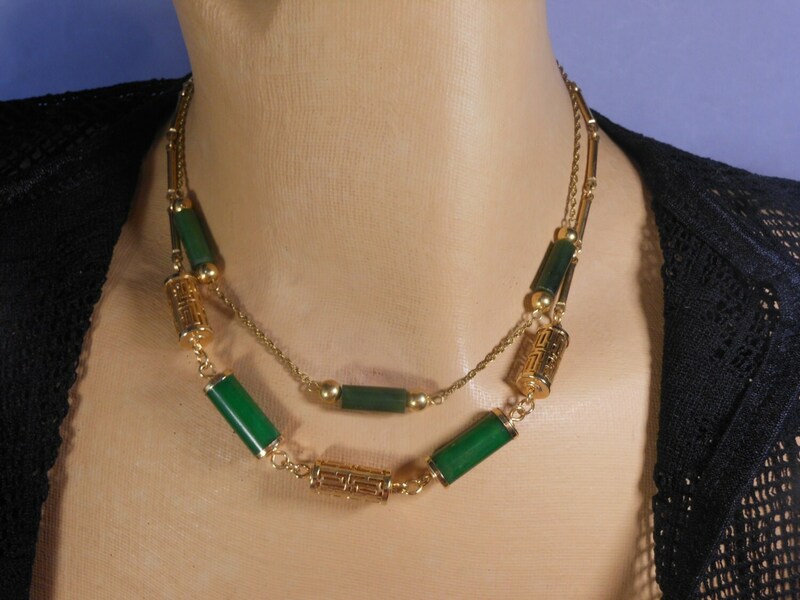 The necklace measures 15" (38.1 cm) and is in very good vintage condition.